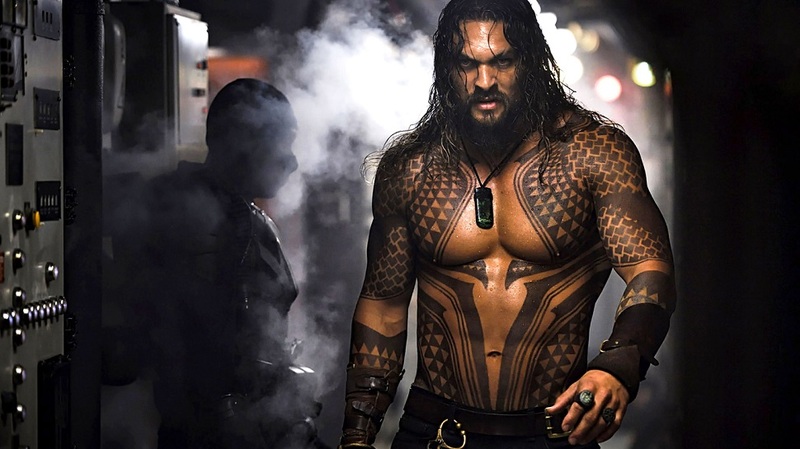 Plot – Arthur Curry learns that he is the heir to the underwater kingdom of Atlantis, and must step forward to lead his people and be a hero to the world. The much maligned DCEU gets its newest instalment (or should I say the one that was already filmed before the wheels came off gets released) and quick take – is maybe better than current clubhouse leader – Wonder Woman.. Starting with some pirates taking over a submarine we get introduced to Aquaman trying to do good in the world under the radar as he comes to rescue the crew. This gives us our introduction to Yahya Abdul-Mateens Black Manta. At the end of the battle he chooses to leave Mantas father for dead rather than save him which sets up our side villain plot. “You have to live, so you can kill him” – the first major hokey bit of dialogue in a film littered with tiny awkward moments..
From here the story weaves around Aquaman being the true heir to the throne of Atlantis and having to overthrow his brother, Orm, who currently is in charge. His foolishness confirmed when he tries to take on Orm half way though in a one on one battle in the underwater equivalent of the colosseum from Thor Ragnarok. Surprise surprise Arthur loses and has to go on a journey of redemption and quest to find King Atlan’s trident which will give him power across the whole sea. The journey ends up spanning a good part of the planet from the Sahara desert through Sicily and to the depths of the Earths core (yup.. seriously) but is very enjoyable throughout with set piece after set piece continually keeping you gripped until the finale..
My word what a finale it was.. the underwater battle to end underwater battles.. I’ll save further spoilers but to summarise from The Phantom Menace – there is always a bigger fish. The cast is a highlight of the film alongside the score (no surprise that the music makes the list.. it is something that Stobbie and I frequently agree on and have playing in the background at work). I jokingly referred to this as Aqua-bro following what we seen from Momoa in Justice League and for the most part he lives up to the billing but there is more depth to him than I originally forseen. Amber Herd steals every scene she is in with that striking red hair (And interesting costume choices) and Dolph Lundgren makes an excellent King balancing the necessary alliance between himself and Orm but showing enough regret while doing it..
Patrick Wilson, Willem Defoe and Nicole Kidman round out the main cast not mentioned already and help tie everything together nicely. All in all, I thoroughly encourage everyone to go check this out. Stand Out Moment – The Manta attack in Sicily. Score – solid 7.5 out of 10. 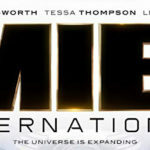 The standard comic movie plot trudges along but the cast drag it into a fun filled movie.